We all knew it was only a matter of time until this day arrived, and so it has: the first textbook devoted to the practice of creating comics is now on our shelves. 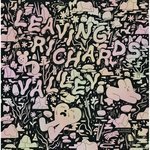 Billed as, "A definintive course from concept to comic in 15 lessons," the primary purpose of this work is to provide a state-of-the-art textbook for high school, trade school and college courses devoted to comics craft -- thus the 15 lessons, the average number of classes in a semester. Authors Abel and Madden (who are wife and husband, and, more germane to their authorship of this work, veteran comics instructors, most notably at SVA [the School for Visual Arts] in NYC) have not, however, forgotten about the rest of us, for they have designed the book with both lone, individual-learners -- "ronin" -- and independent study students who might like to get together and create their own self-directed learning groups -- "nomads" -- in mind. Of special note in this regard is the book's companion website, http://www.dw-wp.com , which is chock full of extra features and sample work that will help to keep on track those lacking the guiding hand of a professional instructor. "Well, yes," you say, "that's all very interesting. But is the book any good?" While we haven't managed to spend enough time with it yet to provide our own judgement, here's the opinion of the two individuals most qualified to offer one: "A gold mine of essential information for every aspiring comics artist. Highly recommended." 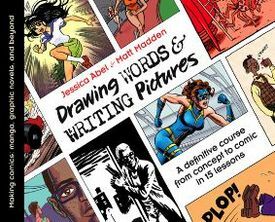 - Scott McCloud, author of Understanding Comics "Matt and Jessica's experience, both in the classroom and at the drawing board, has resulted in a book that should help any aspiring cartoonist. A go-to how-to that will undoubtedly be of tremendous aid for any school or instructor attempting to map out a thoughtful and engaging cartooning curriculum." -- James Sturm, founder and director of The Center for Cartoon Studies And there you have it.